This popular ivy has small, three to five-lobed, grey-green leaves with silver-grey and cream markings. 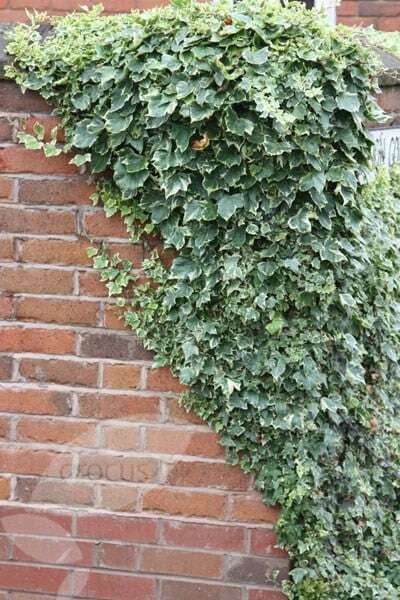 It's a versatile, evergreen climber that will snake up a shady or sunny wall without support. Mature plants have clusters of yellowish-green, autumn flowers, followed by spherical black fruit. Love the versatility of ivies and the established look they provide.......busy planting trailers and climbers in my new /bare garden. They grow faster than one realises. I'm very happy with this pretty variegated ivy, which is beginning to cover an unattractive fence already. I want to cover 2 metre high by 5 metre wide wall in my town courtyard with Hedera Helix Glacier. It's south facing but only gets morning sun before being shaded by the house. How many plants should I use to get full coverage of the width? 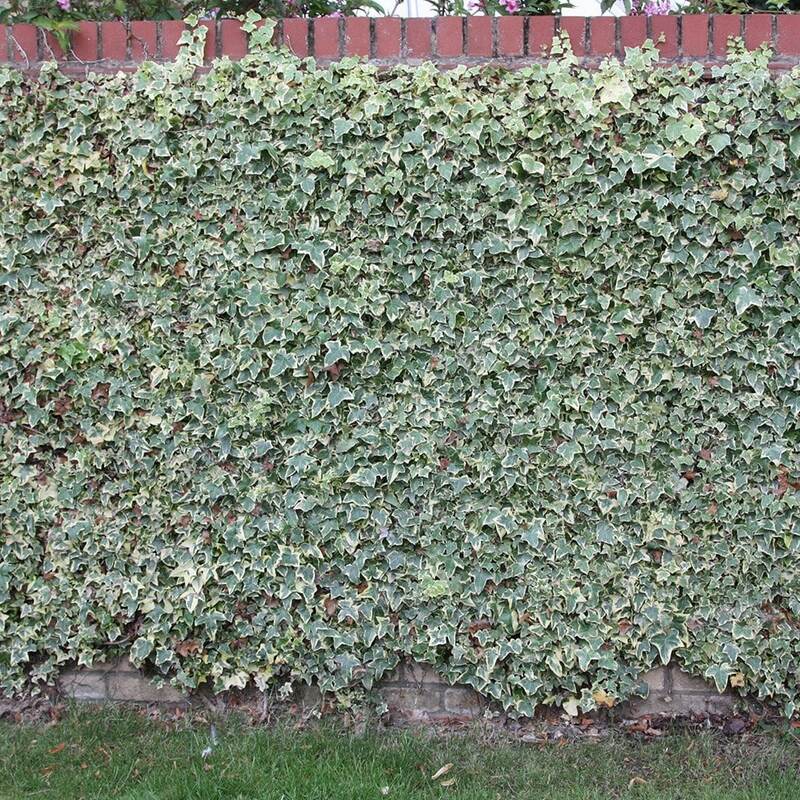 Your diagram suggest a 2m planting distance but because of the way ivy fans out from a narrow base would that mean areas of bare wall lower down? Hello, This plant has an eventual spread of around 2m, however if you want to create dense cover, then I would recommend planting them at 1m intervals. It is worth keeping in mind however that bare patches at the bottom are almost inevitable as most of the plants energy is directed towards the growing tips (ie. tops) of the plants.